Yonkers, NY Polly Watt has joined Houlihan Lawrence, bringing more than 15 years of experience. Watt began her real estate career in 2001 after 30 years as a radiology transcriptionist at one of the tri-state’s largest medical/teaching institutions. 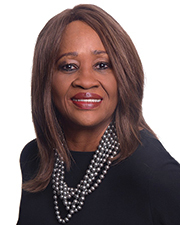 After retiring early, she discovered a passion for real estate, becoming an experienced agent serving communities in Westchester and the Bronx.